American Dental Center | Dental Implants, Lumineers, Extractions and more. NOTICE, CHANGE OF LOCATION! We have moved to our new facility Located at 3492 East Rosemeade Parkway. Carrollton Tx, S.E CORNER OF ROSEMEADE AND MARSH LANE! 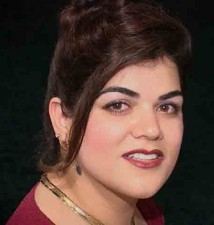 Dr. Mina Haghiri is a General Dentist offering emergency dental care and family dentistry in Dallas TX. Finding a dentist in the Dallas area is not difficult, but finding dentists that are dedicated to 100% satisfaction of patients and who go the extra mile to exceed the expectation of their patients, could be a bit challenging! Our friendly and knowledgeable staff is committed to understanding and meeting your needs as a patient. We are committed to providing modern dentistry that offers our patients complete surgical and cosmetic services. From removing impacted wisdom teeth, sinus lifts, bone grafting, and dental implants… to porcelain veneers, lumineers, and braces. At American Dental Center we take pride on our endless care for our patients’ oral health. Our flexible hours of operation allows us to welcome walk-in patients Monday through Saturday and we offer complementary dental examinations as well as all necessary X-rays in order to make accurate diagnosis for patients who do not have dental insurance and are willing to complete their treatment in our office. Please call our office at 972-241-4433 to make an appointment today . Fast braces are patented technologies that allow bone growth to straighten teeth quickly and avoid pulling them, gingivitis around crooked teeth, or even jaw surgery! Shortest Orthodontics treatment time ever introduced now is being offered in our offices by Dr. Haghiri! Regardless of your age you can have a Beautiful strait smile in LESS THAN 6 MONTHS ! 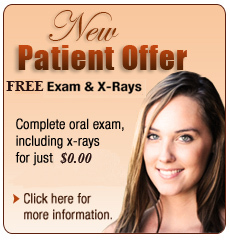 All you have to do is to Call our office and schedule a FREE evaluation!